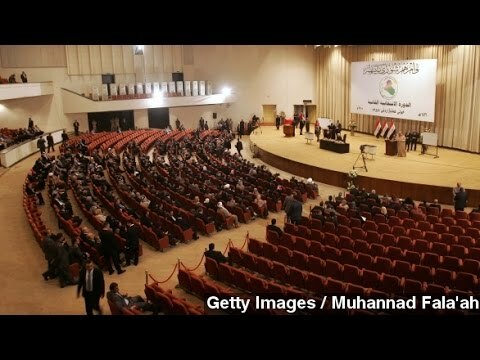 New Iraqi Government: Less than Meets the Eye? There are reasons, however, to be cautious about pinning too many hopes on the new government. Although al-Abadi is a more congenial and less paranoid figure than his predecessor, Nouri al-Maliki, he derives from the same fundamentalist Shiite political party, the “Islamic Call” or “Islamic Mission” (al-Da`wa al-Islamiya), founded around 1958 with the aim of creating a Shiite state. The Da`wa Party did very well in securing cabinet appointments. The cabinet lacks a Minister of the Interior (akin to the US FBI or Homeland Security director) and a Defense Minister, because the parties could not agree on the names that had been put forward. Hadi al-Ameri, the head of the Iran-backed Badr Corps militia, had been bruited as an Interior Minister, but apparently calmer heads prevailed (or perhaps there was severe American pressure). The Badr Corps in the past has been accused of involvement in torture, and it is despised by many of the Sunni Arabs. Given the revolt of the Iraqi Sunni Arabs this summer, that anyone even considered al-Ameri for such a sensitive position is astonishing. During the first Ibrahim Jaafari government, the Badr Corps was accused of abuse and the extra-judicial jailings of Sunni Arab rebels. If the Iraqi elite were smart they’d put a Sunni Arab in as head of the Department of Defense. Not only does al-Abadi have to gain the trust of the Sunni Arabs, he has to regain that of the Kurds, as well. For many months, Iraq has not paid the civil servants in the Kurdistan superprovince. And in June the Kurds too control of Kirkuk province and are involved in disputes with Baghdad over the future of Kirkuk and also over whether they can export their oil without the involvement of the Iraqi minister of petroleum. The Kurds have given al-Abadi a short deadline to settle these disputes and to convince them not to just secede and leave Baghdad to face ISIL on its own. It remains to be seen whether the Iraqi Army can become less sectarian, whether it will fight for al-Abadi.